CBCP intensifies its efforts to provide a virtual Visita Iglesia for people who can’t physically visit churches this Holy Week. The Catholic Bishops' Conference of the Philippines (CBCP) has been exerting great efforts to further encourage local Catholics to profess their faith by participating in various religious activities. In 2011, it launched the Visita Iglesia website, where sick people who can't physically visit churches and Overseas Filipino Workers (OFWs) who can't go home, are provided with an online alternative to take part in a traditional visit to various churches during Holy Week. 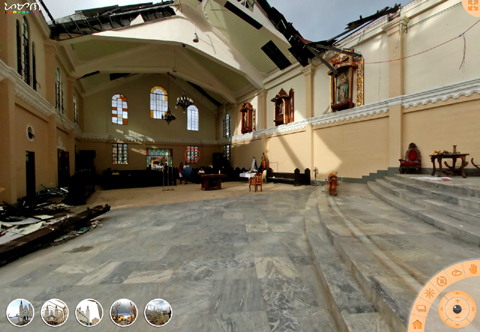 The website features live streaming of the Holy Mass from selected churches, 14 featured churches for Visita Iglesia, and a 360-degree view of different churches across the country (Some of which were destroyed by typhoon Yolanda in 2013. 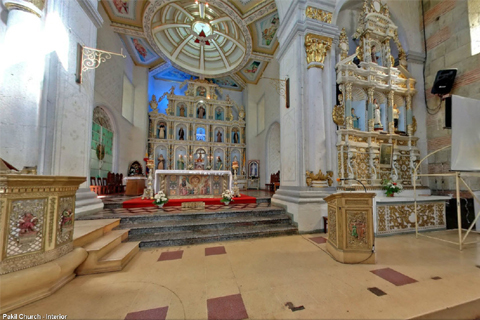 Click here to take a tour of Palo Cathedral's 360 degrees view). Also included in the online site are Lenten catechisms facilitated by some Catholic priests discussing different religious topics such as the Passion of Christ and Pope Francis' message for this year's Lenten Season. Photos from the Visita Iglesia website.